While you may have heard of Tech Valley, you may not know where it is, or even exactly what it is. But unbeknownst to many, Albany is at the heart of New York State's Tech Valley, and amazing nanotech companies and educational initiatives are being developed all the time, bringing more economic growth to the Capital Region. Tech Valley encompasses the Capital Region, the Adirondacks and North Country, Hudson Valley, and Mohawk Valley. It runs over 250 miles from just north of New York City all the way up to the Canadian border. What Exactly is Tech Valley? Tech Valley is a hub of technological companies and educational facilities with a focus on biotech, nanotechnology, and life sciences. In the late 1990s, Wallace "Wally" Altes, former President of the Albany-Colonie Regional Chamber of Commerce, led the effort to brand this area in Eastern New York known for technological research and development as Tech Valley. Tech Valley is constantly growing, with new companies and possibilities in the technology field emerging all the time. Some of the key players in the Capital Region are GlobalFoundries, the Colleges of Nanoscale Science and Engineering (SUNY Poly CNSE), and the Rensselaer Polytechnic Institute. GlobalFoundries in Malta is a computer chip manufacturing plant. The chips operate everything from tablets to satellites. In 2015, the organization acquired IBM's computer chip factories in Dutchess County and Vermont, securing the company a spot as the second largest foundry on the planet in terms of revenue. 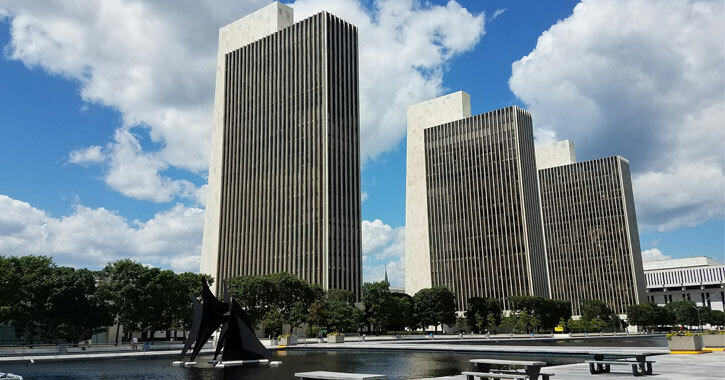 You may have driven by SUNY Poly CNSE on Fuller Road in Albany - the amazing architecture of the massive complex is hard to miss! CNSE merged with the SUNY Institute of Technology in 2014. Now, it is one of the first colleges in the country committed to nanotechnology. Rensselaer Polytechnic Institute in Troy is really doing its part to contribute to the ever-growing Tech Valley with its incubator program, known as the Emerging Venture Ecosystem, or EVE. The goal of EVE is to promote jobs by accommodating and helping to develop more start-ups. Students attend RPI from all over the world, and programs like this help make it easier for them to stay in the area after graduation by creating their own innovative company. Hundreds of companies have gone through the incubator, allowing technology and talent in the area to flourish. The Tech Valley Young Professionals Network (YPN) is dedicated to connecting, developing, and empowering young professionals in the Capital Region. It offers advice and networking opportunities to ensure more jobs and more economic growth within the Tech Valley as younger people are entering the field. You can check out a short video YPN produced underlining our area's amazing advantages and opportunities, and can learn more about YPN here. To find out more about Tech Valley, visit the official web site.